Dr. Matthew #1 Probiotics is right there among the average quality probiotics, despite it’s clever #1 name! That’s why I give it an average rating of 2.5/5 stars. It was some good qualities to it and also some things that aren’t as great. It’s easy to use, just take one extended release caplet daily, with or without food. The pill is more like a tablet to me. It’s much bigger than your average “caplet” and is kind of chalky, which is a pet peeve of mine. Sometimes it wasn’t super easy to swallow. You don’t have to refrigerate it, though, so that’s a definite perk. It’s pretty potent but it only uses human strains, not SBO (soil based organisms). This is a plus for a lot of people because some SBOs can create spores in the body and lead to some bad side effects in certain people. It’s usually best to stick with bacteria strains that are naturally found in the human body and not in soil. It uses a prebiotic from kiwi fruit, which specifically feeds the GOOD bacteria and has other beneficial effects on the body. Unfortunately, this company doesn’t offer you any type of guarantee. Also, it’s one of those supplements that you have to buy on Amazon. They promote a free bottle on their actual website if you buy one full price on Amazon. That’s a nice gesture but I really wish there was a guarantee in place. So again, this was a pretty average supplement in my opinion. 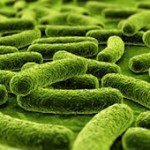 Dr. Matthew #1 Probiotics has 15 billion CFU in 15 probiotic strains. It’s pretty potent for a daily probiotic! I like the inclusion of Lactobacillus rhamnosus. This strain has been shown to help with quite a few areas including weight loss, boosting immune function, and helping relieve Irritable Bowel Syndrome (IBS) symptoms. It’s also good for lowering the chances of antibiotic related diarrhea. I also love that Lactobacillus acidophilus is in the strain lineup. That’s the bread and butter of probiotic bacteria. It’s used quite extensively and has been shown to be very helpful with a number of belly problems like gas, bloating, constipation, and diarrhea. However, I don’t like one strain that’s used, which is L. casei. That strain can be aggressive and overrun other good bacteria. This probiotic has a special prebiotic fiber that acts as a fertilizer for the friendly bacteria. It uses Actazin, a prebiotic fiber from Kiwi fruit, which is supposed to only feed the good bacteria. They mention that other prebiotics like FOS used in other probiotic supplements can sometimes feed the BAD bacteria and even candida yeast. But Actazin is researched to show a reduction in bloating, act as a gentle laxative, and promote normal bowel function. This probiotic is lactose free, but it does contain milk proteins from trace amounts of fermentation media. This is common among probiotics. It’s formulated to be pretty allergy friendly, though. It’s made without any: Wheat, gluten, yeast, soy, egg, nuts, tree nuts, or fish. 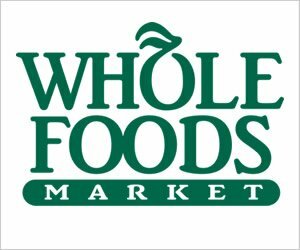 The supplements are made without any artificial colors or flavors and it’s non-GMO. Other ingredients include: Microcrystalline Cellulose, Hydroxypropyl Methylcellulose, Pectin, Sodium Carbonate, Stearic Acid from Palm Oil, Guar Gum, and Turmeric (color). For a 30-caplet bottle of Dr. Matthew #1 Probiotics, it costs $19.99. 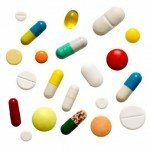 Since you just take one caplet daily, it works out to $0.66 per day to take. That’s spot on as far as pricing goes. It’s right in that average probiotic range. I think it’s a decent value for the price. However, I didn’t see a ton of improvement or positive side effects while taking this supplement. 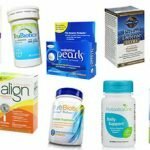 This is another supplement that can only be bought through Amazon. That site doesn’t mention any type of guarantees for the products. All it really does is offer you a free bottle if you buy one at full price on Amazon. 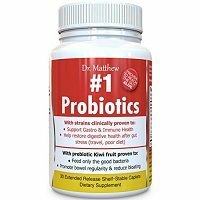 To buy Dr. Matthew #1 Probiotics, click here.